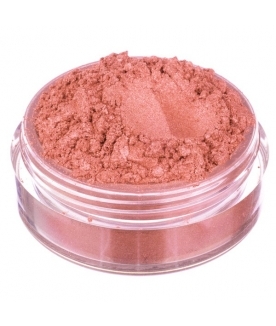 Warm velvety peach mineral blush with hazel undertones. 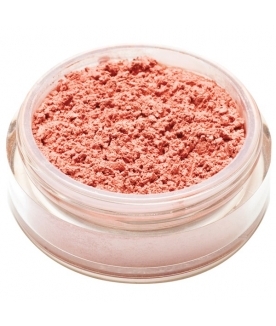 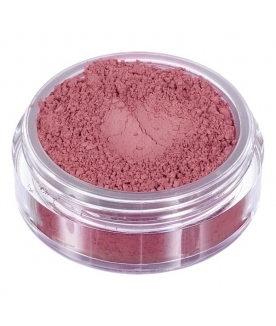 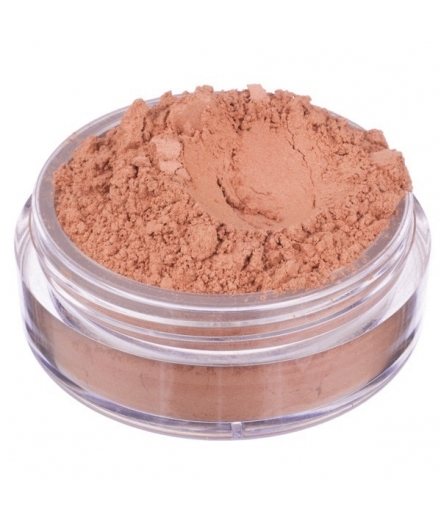 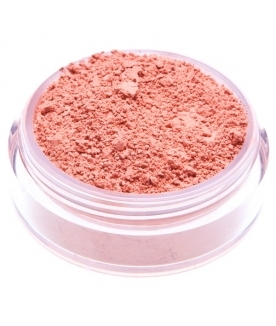 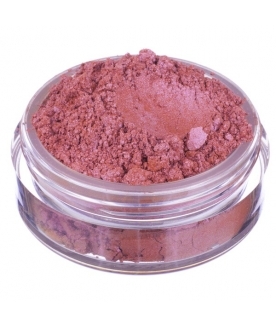 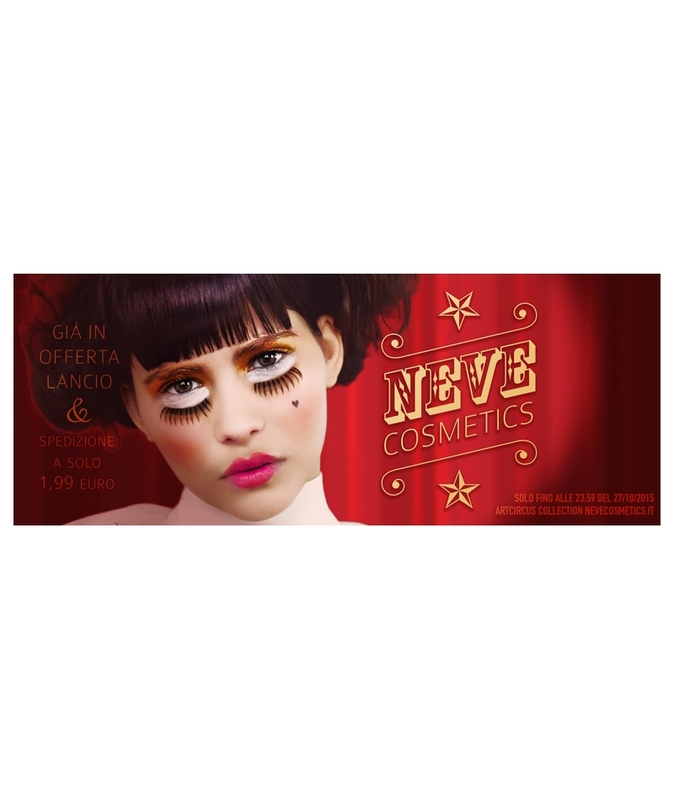 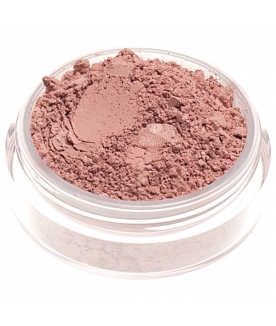 Use it as a blush, as a bronzer and as powder… Warm, light and very delicate. 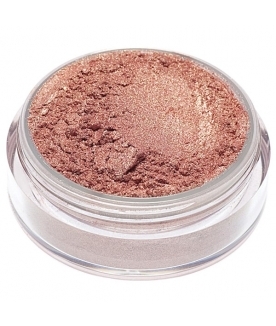 We love defining it the colour of light heartedness. 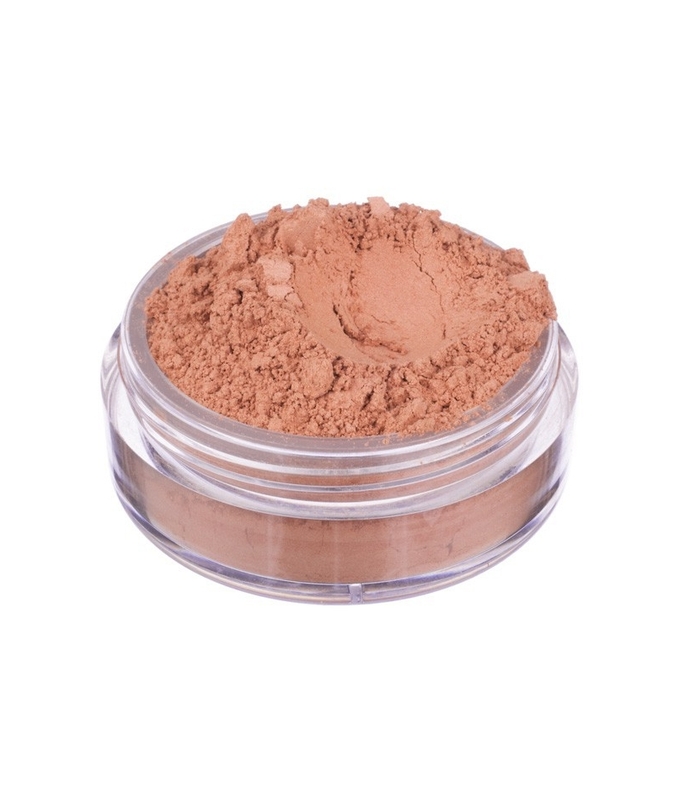 Ingredients: Mica, Ci 77491 (Iron Oxides), Ci 77891 (Titanium Dioxide), Ci 77492 (Iron Oxides), Ci 77499 (Iron Oxides). 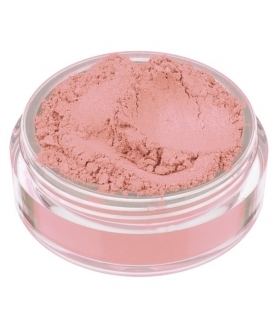 For a perfect application, tap a small amount of mineral powder into the lid of the blush jar. 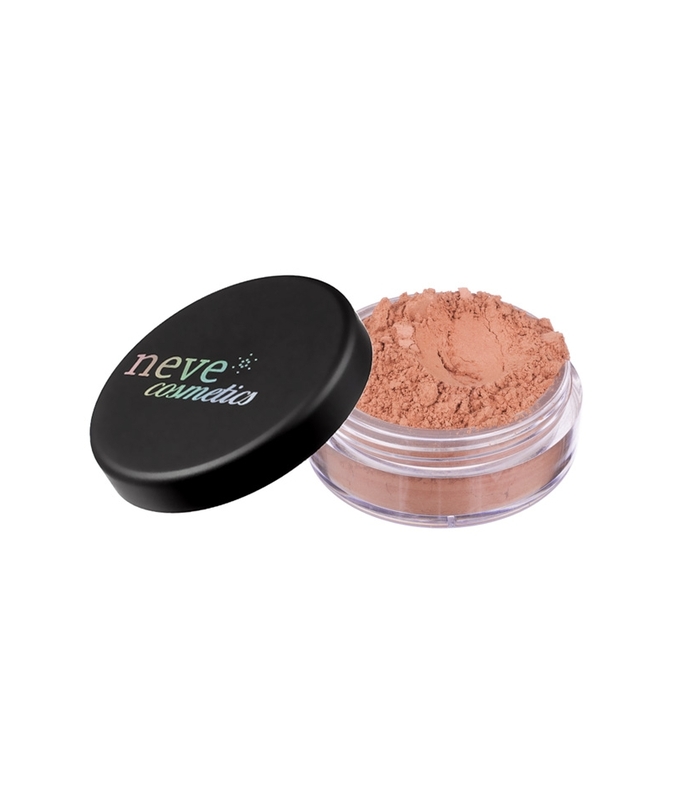 Swirl the brush into the product until the bristles have absorbed all the powder. 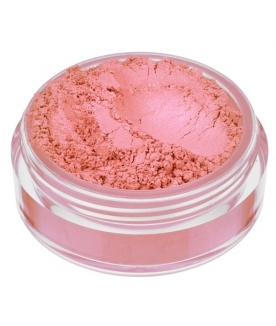 Apply on the apples of your cheeks with a circular motion, starting from the centre of the cheek and moving outwards toward the temple. 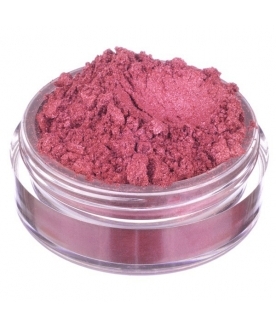 This coloured powder is multi-purpose: you can use it on your lips – over your gloss, lip balm or lipstick – and as an eyeshadow too. 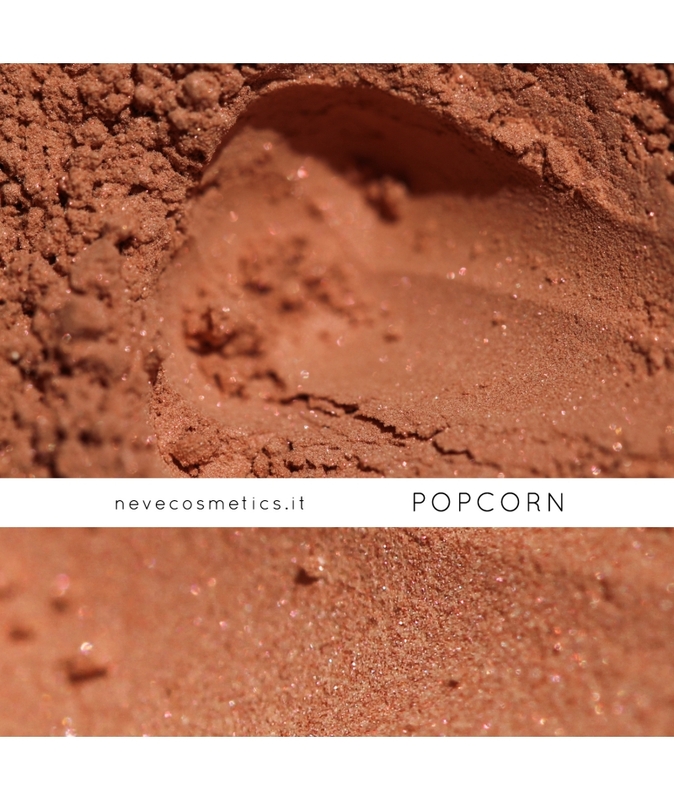 You can also mix it with clear nail polish to create a matching look for your makeup and nails.